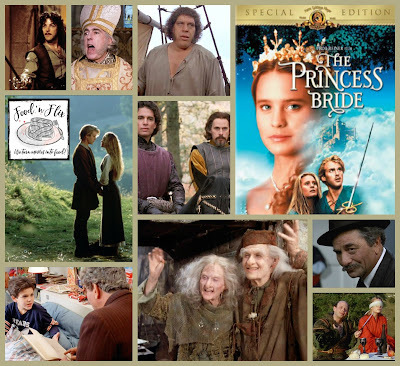 I am really excited to be hosting Food 'n Flix for May and even more excited that I picked one of my very favorite movies for this month's film--The Princess Bride. Is there anyone that hasn't seen it? If so, you are in for a treat. 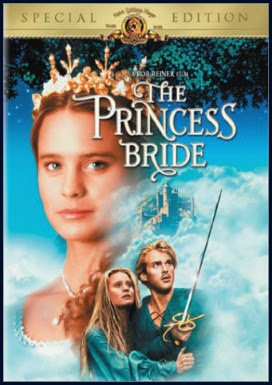 Based on the 1973 book by William Golden, the movie version starts with a grandfather (Peter Falk) reading his sick grandson (Fred Savage) a story about a farmhand turned pirate, Wesley (Cary Elwes) trying to save his love, the beautiful Buttercup (Robin Wright) from the evil Prince Humperdinck (Chris Sarandon) with help and/or hindrance from a cast of characters including a Spanish master swordsman (Mandy Pantinkin), a rhyming giant (Andre the Giant), a Sicilian crime boss (Wallace Shawn), a wizard and his wife (Billy Crystal and Carol Kane), a six-fingered count (Christopher Guest), and an impressive Clergyman (Peter Cook). There's fencing, fighting, torture, death, true love, giants, and pirates! I know it's not a foodie movie, but sometimes I love the results even more when our Food 'n Flix group watches a non-foodie film and lets their creativity fly! I think you'll have plenty to work with like Sicilian food, or maybe a nice MLT--mutton, lettuce and tomato sandwich--where the mutton is nice and lean and the tomato is ripe. (They’re so perky, I love that), or anybody want a peanut? So many great lines to quote too! ;-) It's a movie that never fails to put me in a good mood and I hope it puts you in one and that it gets you into the kitchen this month, as it would be inconceivable if you didn't join us! 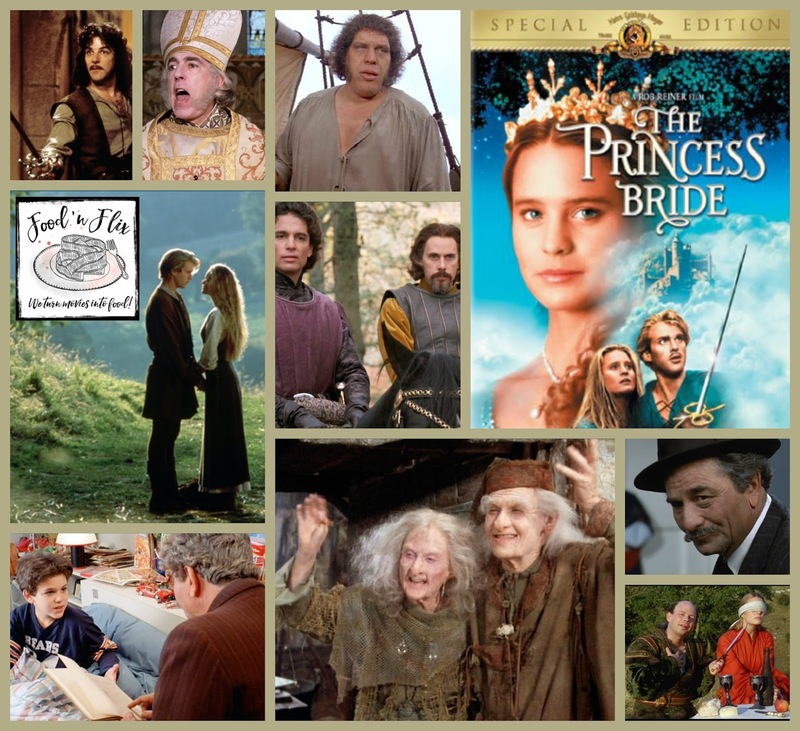 Watch The Princess Bride and taking inspiration from the film, head into the kitchen and cook or bake or make something. If you don't have a blog but you want to join in, you can post a photo of the dish you made on Instagram (public accounts only). You must include the following in your caption: short intro, recipe, #FoodnFlix, and tag me (your host) @DebinHawaii. Your post must be current (during the month of film). And of course we don't mind if your post is linked to other events... the more the merrier! -indicate "Food 'n Flix Submission" in the subject line. Happy watching and cooking and have fun storming the castle! I love the Princess Bride and though I don't usually get organised to join in such events I am wondering if I had time to watch for a refresher though I think our copy is still on video - was thinking of watching it just last week. I LOVE this movie! I think I need to play along this month! Such a fun movie. Can't wait to watch it again with my foodie glasses on. Great choice! I dug my dvd out of storage and am going to carve some time out this weekend to rewatch and take notes. Can't wait. I have three very good friends that I just found out have NEVER SEEN THIS FILM!!!! How is that possible? I plan on hosting a movie night soon so they can be culturally literate (and quote from the film along with the rest of us)!